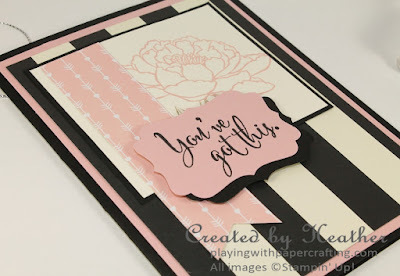 Playing with Papercrafting: Quick and Cute with You've Got This! I just held a Quick and Cute Night class which doubles as a Beginner's Class. 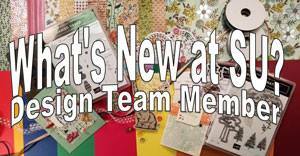 I love introducing new people to stamping and the idea that they can be creative without the need to be able to draw! I love the look on their faces when they stamp their first image and the pride in their voices when they look at the finished product! It's heady stuff! And it's fun designing Quick and Cute cards for these classes. 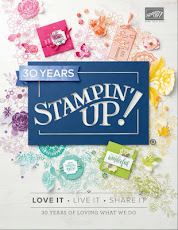 I like to use a showy stamp and I steer clear of all but the simplest Big "Shotting" (yes, that's a verb! ), opting more for punches to shape my paper. 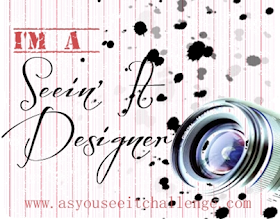 This was the sketch for last week, so I am not entering the challenge, just using it as a design guide. 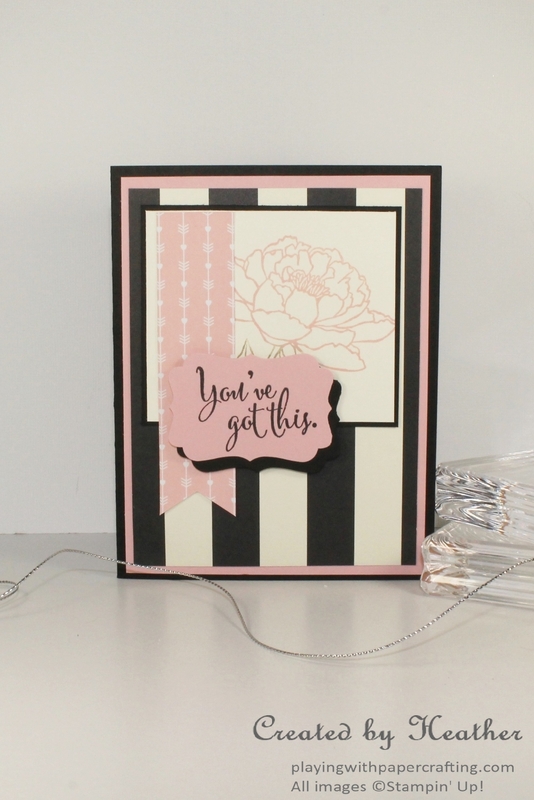 In fact, Card Challenge sites are a great source of inspiration for your card making, even if you don't enter the challenges. 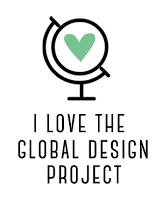 Check out the ones I participate in regularly on the left side bar or just google card making or stamping challenges - there are dozens of them. 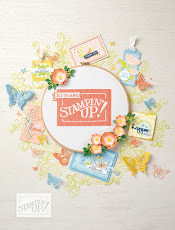 The stamp set, You've Got This, is a good showy stamp set to use in a beginner's card. They don't have to colour it in for it to look good and the sentiments use a wonderful font. Here the flower is stamped in Blushing Bride and Crumb Cake, although you can't see much of the stem and leaves. The flag is made from paper in the Love Blossoms Designer Series Paper Stack. This will be retiring at the end of May and will only be available until supplies last, so get it soon if you like it. The background DSP is from Timeless Elegance Designer Series Paper. It is a favourite of many and will likewise be retiring. Good old Decorative Label Punch! It was one of the first I bought and it's still going strong, making a return appearance in the new Annual Catalogue! 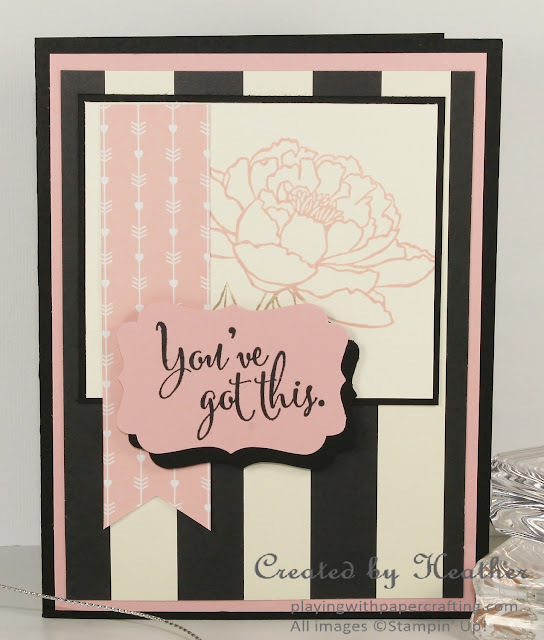 I stamped the sentiment on Blushing Bride cardstock and punched it out, then punched out another Decorative Label shape in Basic Black cardstock and mounted it just below and to the right of the Blushing Bride label, like a shadow. Leave me the answers in the comments! Have fun! I'll share some more another time.